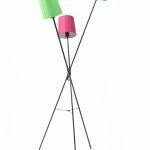 The standing floor lamp can enlighten your room and add nice outlook to the room with its design, shape, and color. 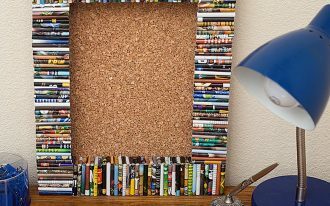 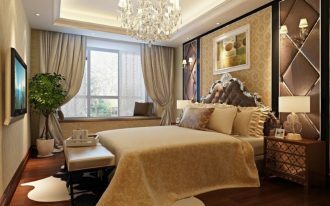 Well, you can decorate it in any room in your home such as in the living room and bedroom so that your dark room appears bright. 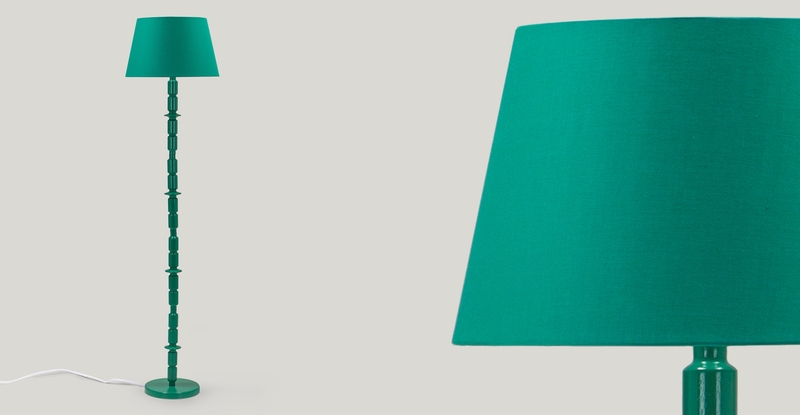 Choosing a floor lamp is actually a simple thing to do. 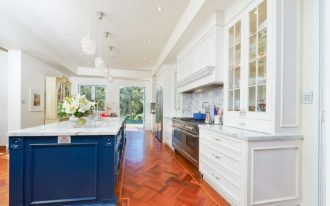 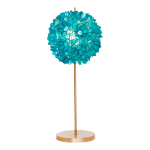 But, some of you may often find difficulties in choosing the color of the lamp as there are a lot of color options offered by the manufacturers. 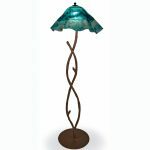 If you still have no idea what’s the best color of floor lamp for your home decoration, I suggest you to choose a turquoise floor lamp as this lamp can enlighten your room dramatically. 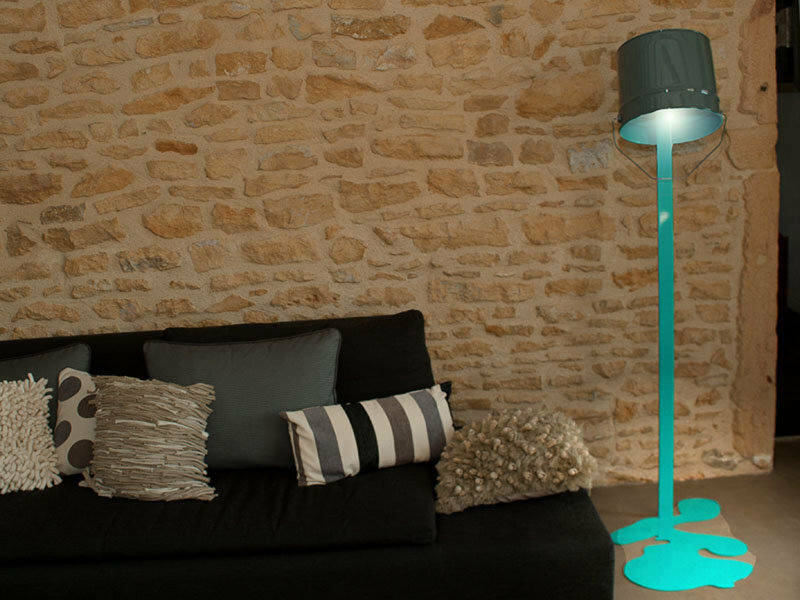 Yeah, the turquoise floor lamp is anti-mainstream choice that can give dramatic and fun atmosphere to the interior. 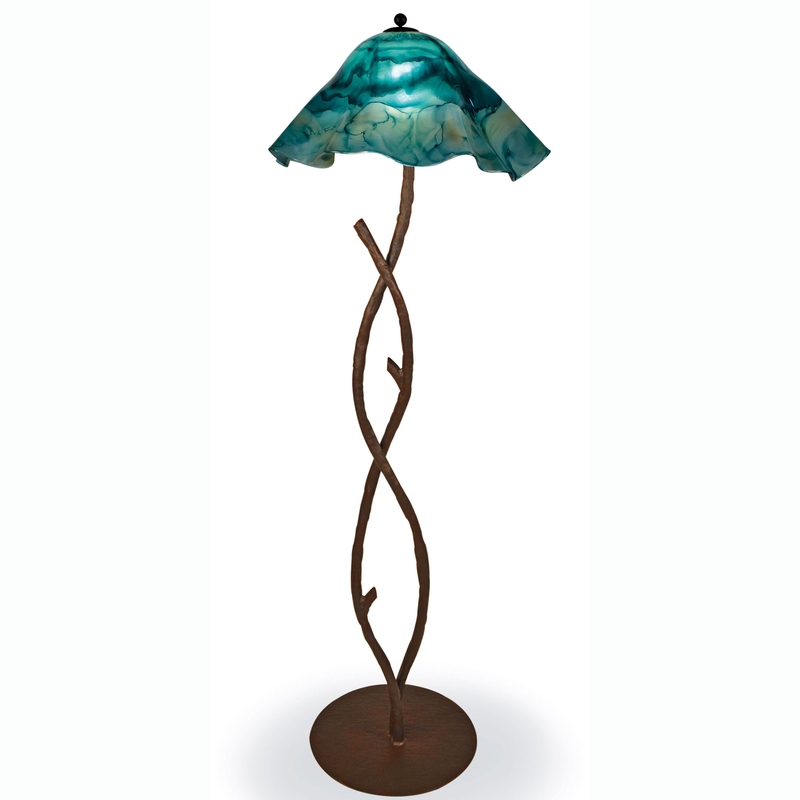 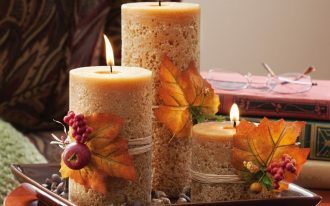 In addition, displaying this floor lamp in your room can also freshen up the entire room with its soft and calm color. 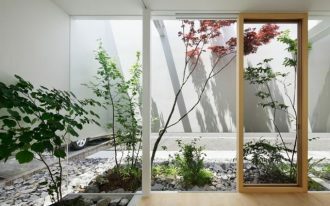 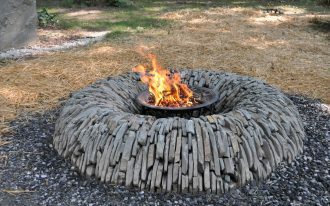 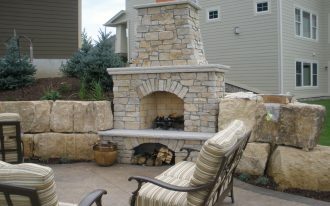 For further detail, you can take a look at those beautiful photos in this article! 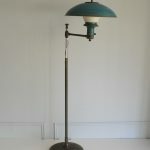 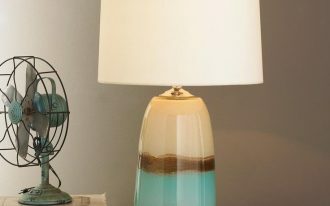 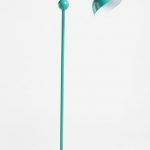 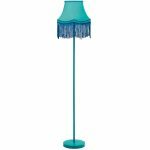 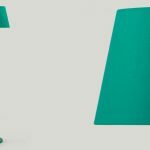 First, you must have fallen in love with this turquoise floor lamp with a white shade and turquoise accent on its post. 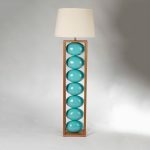 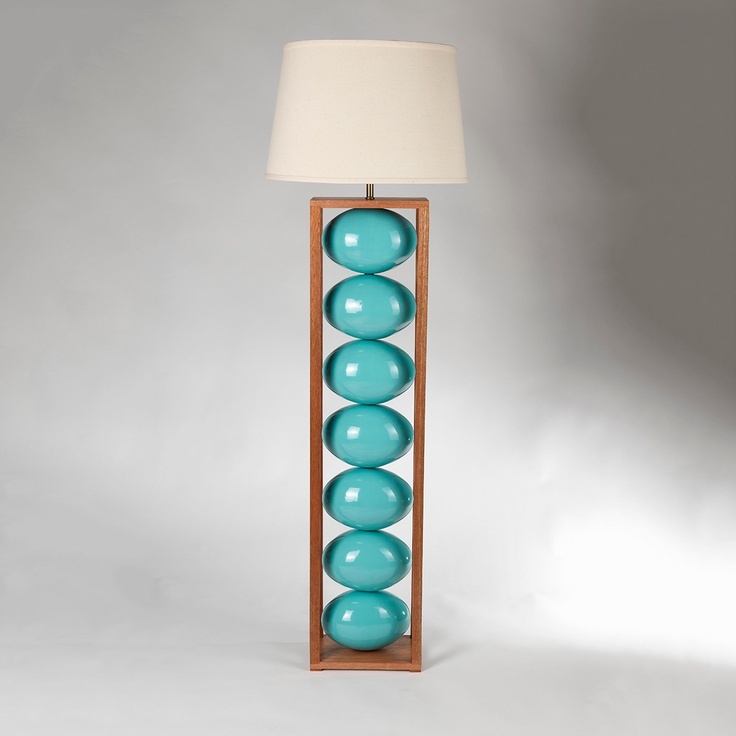 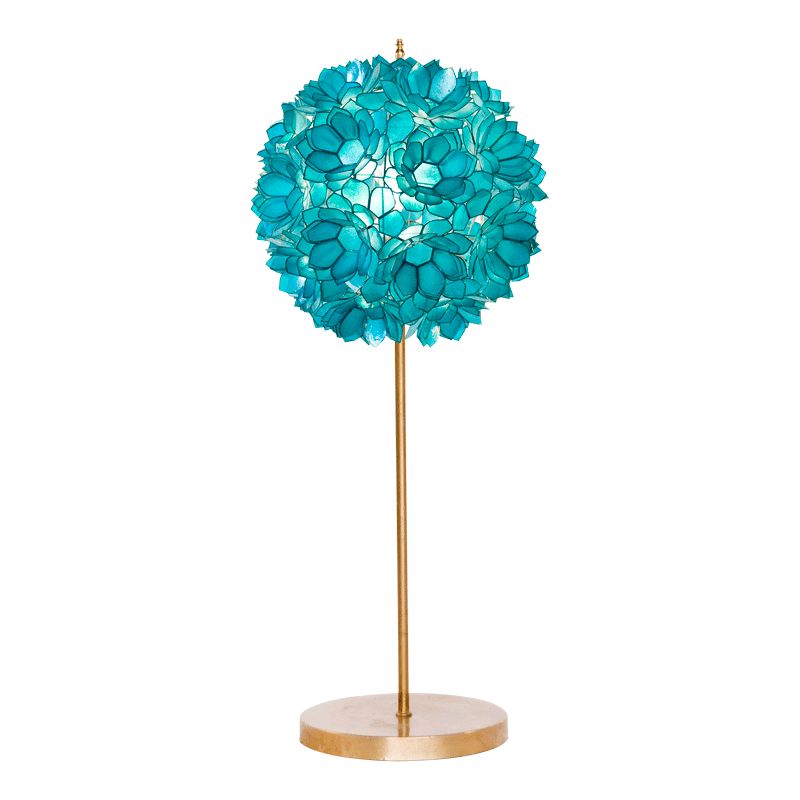 Yeah, the post is made of stainless steel beautified with turquoise balls accent and wooden frame. 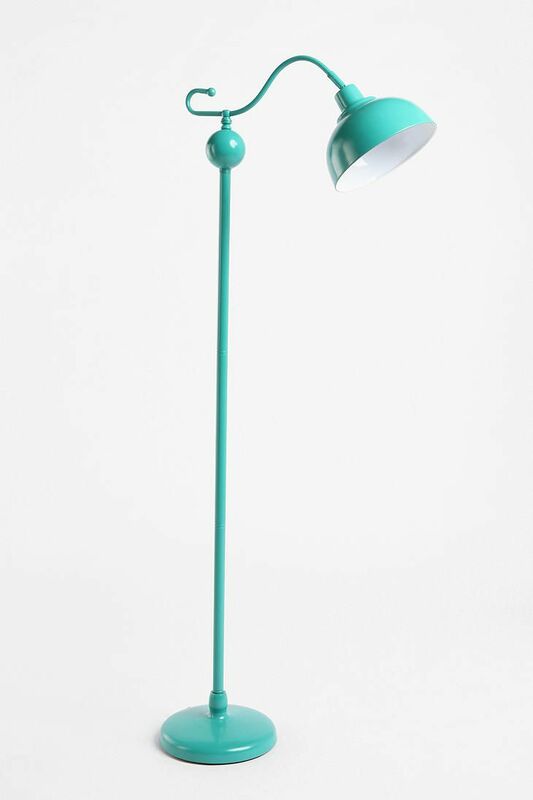 Then, the giraffe standing lamp is also cute as well because the design is very creative and artistic. 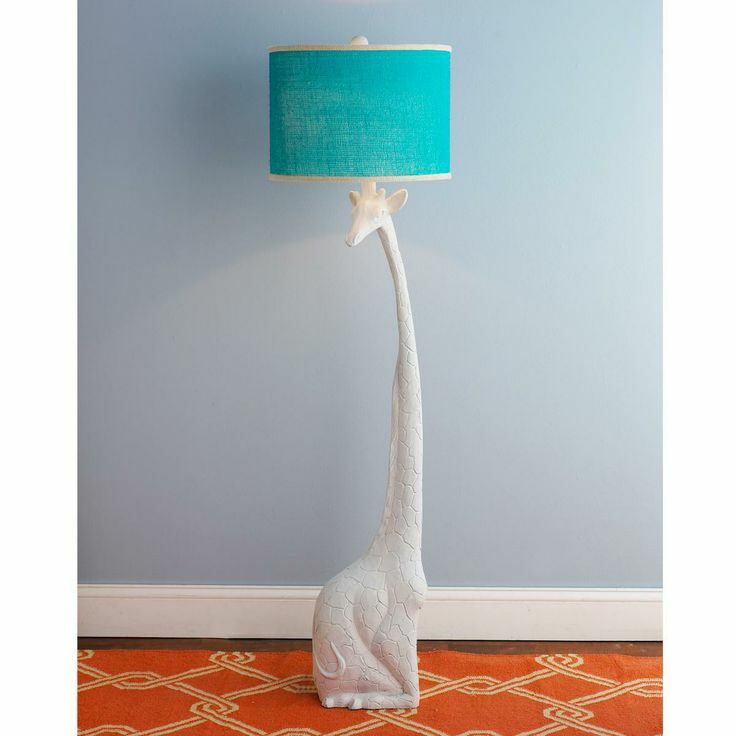 Its post is shaped like a giraffe with a long neck and it is completed with turquoise shade. 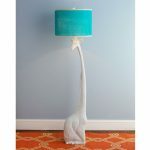 So, are you interested with this giraffe floor lamp? 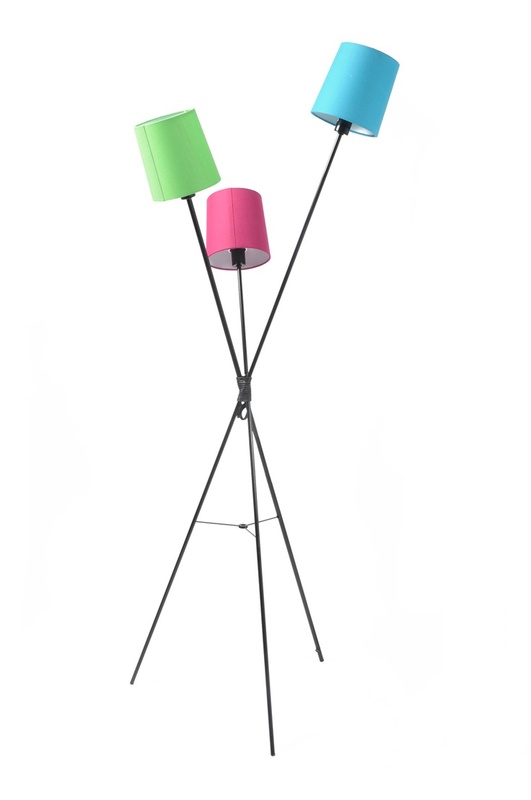 Next, the combination of three color shades in a single floor lamp is also a good and inspiring idea. 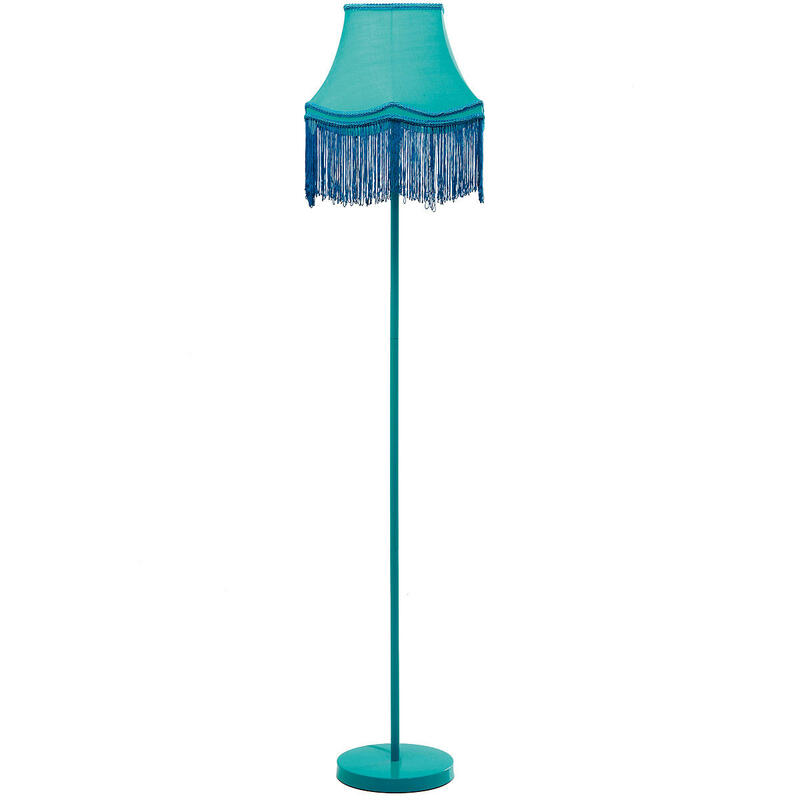 Yeah, in the picture, the turquoise floor lamp is combined with pink and green shades which make it looks so fancy. 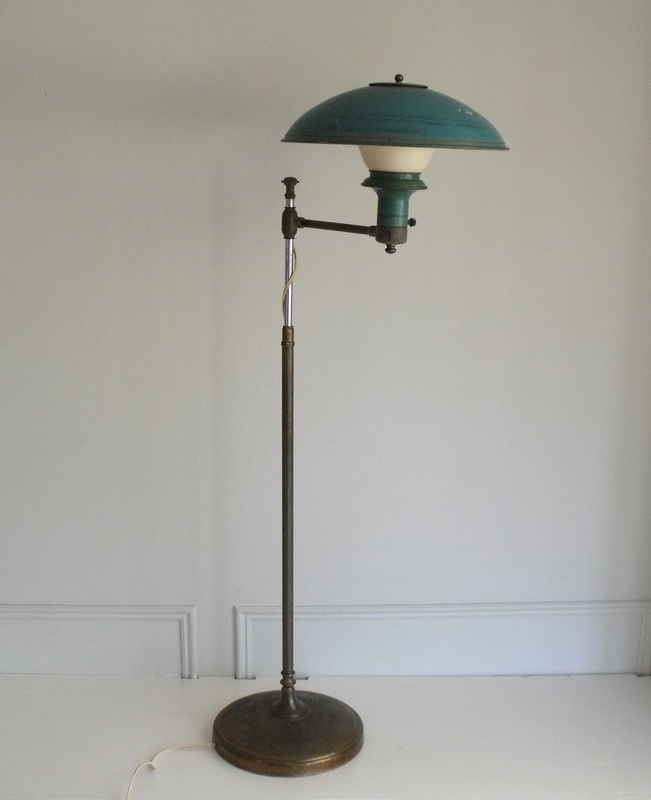 The post of the lamp is made of metals which look eye-catching to be decorated in the living room.